This year I was thinking about how we’ve done a bunch of great holiday-related stuff over the last four years on The Incomparable, and there’s no really good way of surfacing it. I could make a page on the web site that links to a bunch of episodes, but most people don’t listen to podcasts on the Web, they listen to podcasts inside apps. Then it struck me: Podcast feeds can be anything. I already run something called The @jsnell Anthology which is a feed of my appearances on other people’s podcasts. So why not set up a feed and fill it with the fun holiday stuff we’ve done in past years? I thought of this on the morning of Dec. 1, and realized it was basically an advent calendar in podcast form. 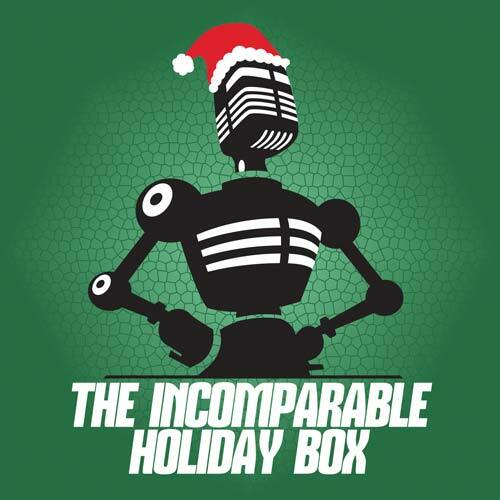 And so I created The Incomparable Holiday Box, which is available via RSS and iTunes. It will contain episodes about childhood toys, holiday TV and movies, and maybe even a few surprises. Check it out if you’d like to be a part of the experiment.